So, as promised on Sunday, and though whilst slightly unseasonal given the rain and cold outside, here is the last recipe of the summer from the Perky Pancake. 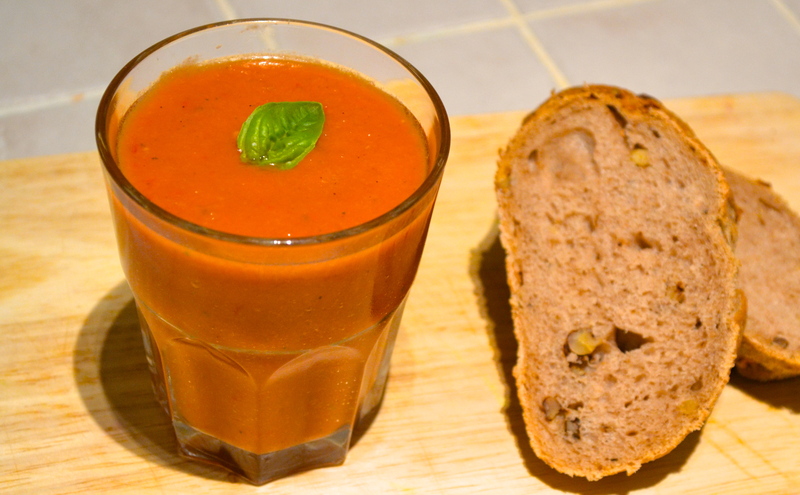 Another recipe from my recent trip to France – gazpacho. The success of this really depends on the quality of your ingredients. 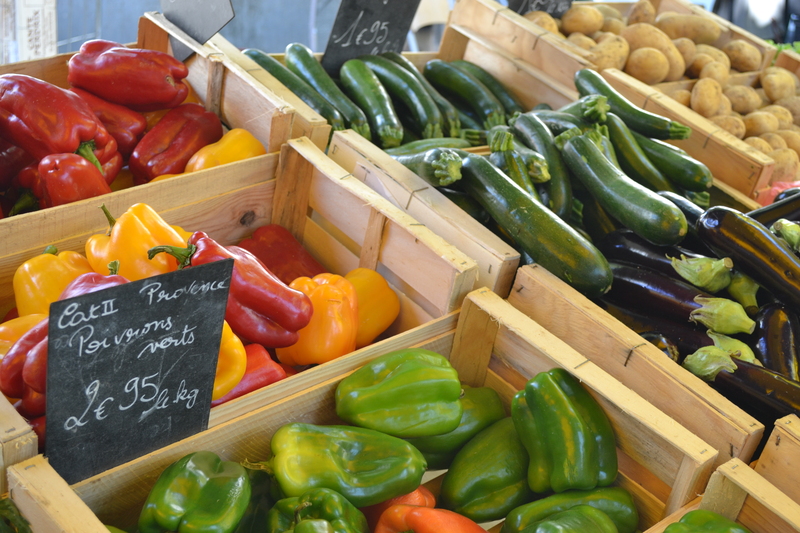 Fresh, tasty, ripe vegetables are essential as apart from them, there’s not much to it. Being a cold soup it’s incredibly refreshing as a summer lunch or a starter. I also always feel it’s filling me with vitamins and health! This is a seriously quick and easy recipe requiring absolutely no cooking. The only caveat is you need a blender/magimix to make it otherwise you’re in for a lot of chopping and sieving which I would definitely not recommend! 1. Cut all of the vegetables into large chunks and add to your magimix/blender. 2. Add the olive oil, vinegar and basil and whizz everything up until completely smooth. 3. 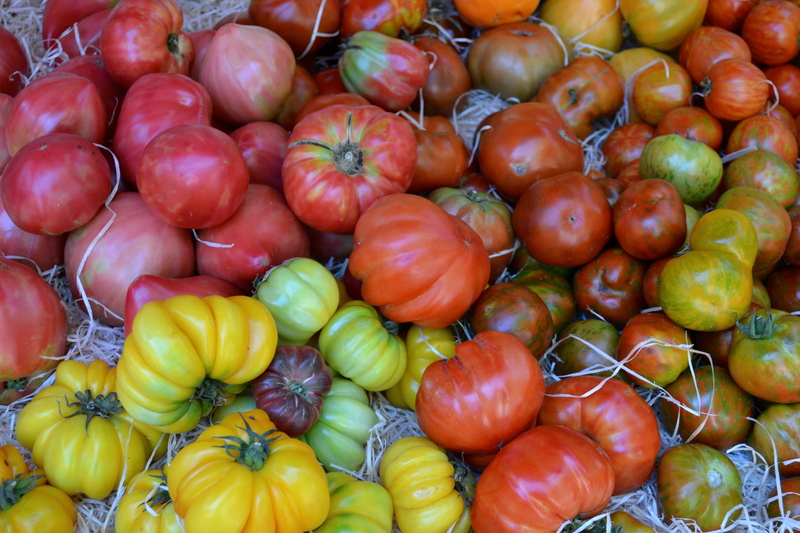 Have a taste, season with salt and pepper and add a little more vinegar if needed. 4. Put in the fridge to chill for at least an hour before serving. The soup can be made up to 2 days in advance.